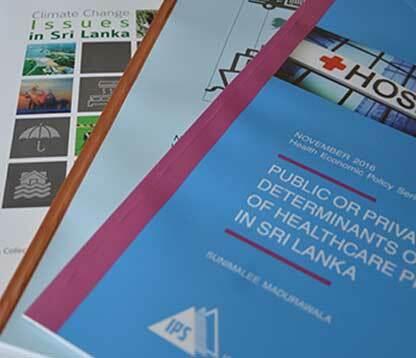 The IPS publications are an important means through which the Institute disseminates its research findings, obtains feedback and reactions, and informs policy makers on issues of socio-economic policy. 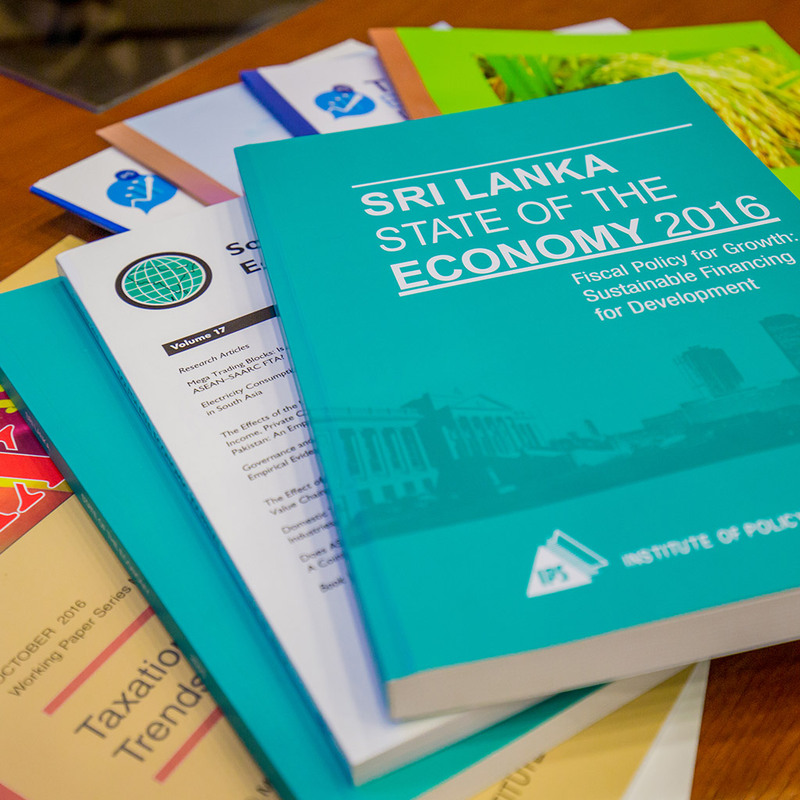 The annual Sri Lanka State of the Economy Report is the Institute’s foremost publication. 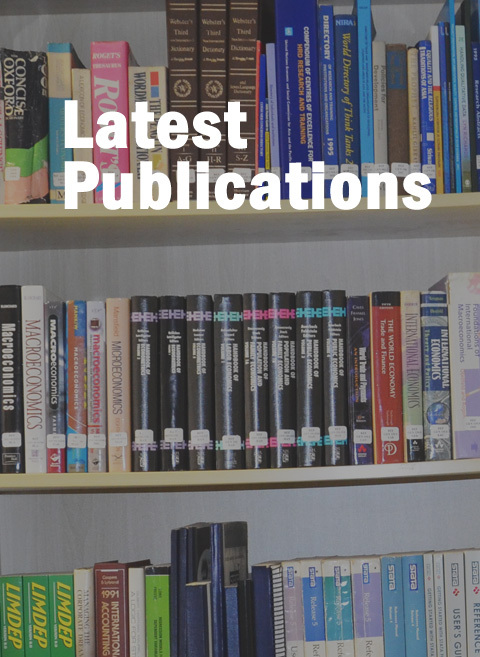 The IPS Research Paper Series is the Institute’s main publication channel, released in several subject specific series and supplemented by other more informal publications, some of which are only available through this site. For a comprehensive list of IPS Publications, see IPS publication series . 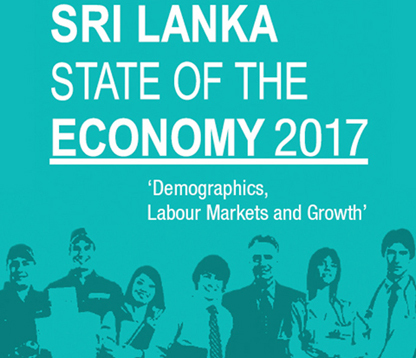 The annual Sri Lanka State of the Economy Report is the Institute’s foremost publication. 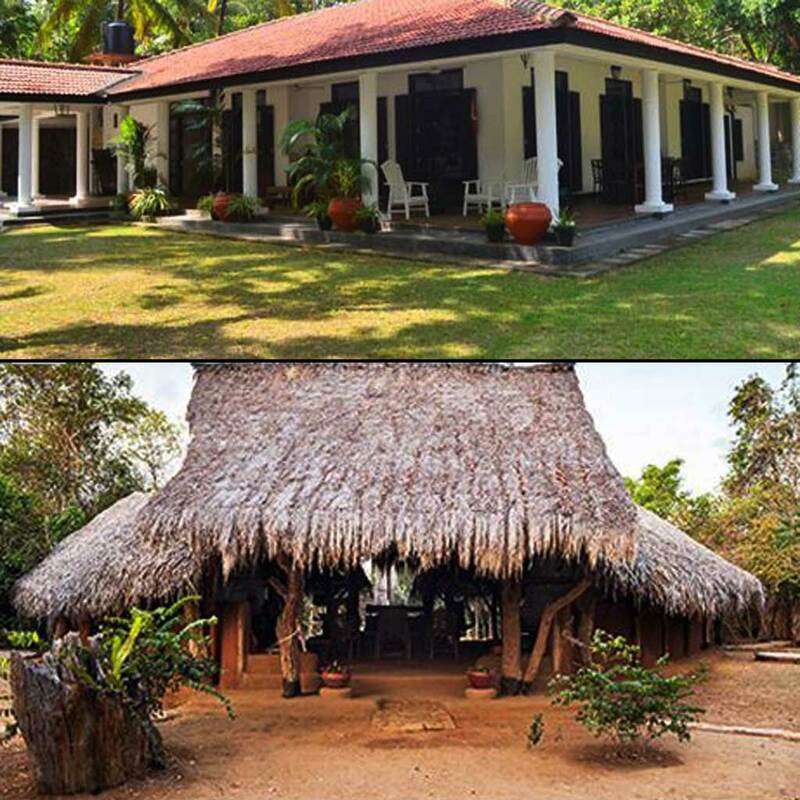 IPS research studies come under several series, concentrating on topics such as agriculture, energy, governance, health economic and international economics to name a few. 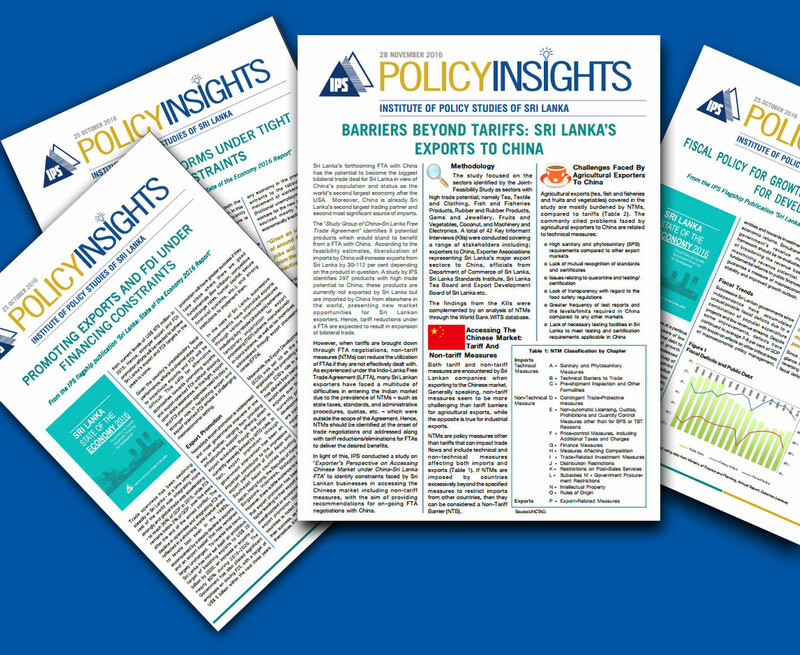 Policy Insights are shorter, more visual representations of the overall research studies and publications. They give a snapshot into pertinent issues and discussions that are taking place in the current economic climate. 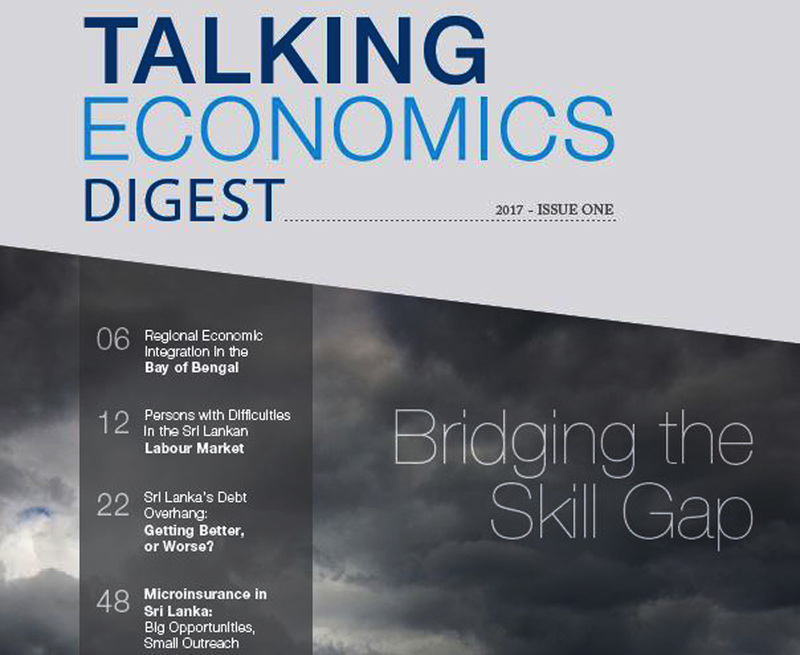 Talking Economics Digests are a series of magazines published biannually by the IPS. Each contains a compilation of articles that have appeared in the Talking Economics Blog for a six-month time period. 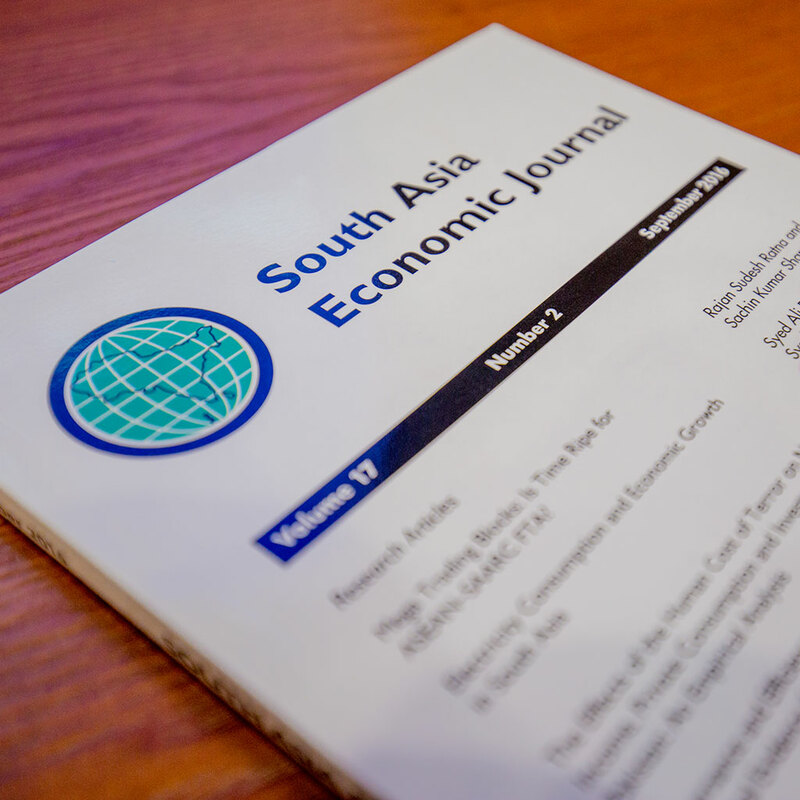 South Asia Economic Journal, as a refereed journal carries articles by scholars, economic commentators, policy-makers and officials, from both the private and public sectors.